Taking the mantle in 2014 as the third Commissioner for Environmental Sustainability Victoria, Gillian is responsible for reporting on the health of the environment across the state. With her team, she synthesises the latest available science to develop report cards on Victoria’s environmental condition – spanning everything from water and air quality, to climate change impact, biodiversity, coasts, forests, fire and the health of our bays and reefs. As Victoria’s population is growing faster than any other in Australia, Gillian knows that we need to be prepared for sustained population growth and build our understanding of the pressures and impacts this has on our environment. The health of our great outdoors affects every Victorian, after all. "People prefer to work and live in a clean, healthy environment," says Gillian. "Most people deeply understand the concept of going for a walk in 'fresh air' to clear the head. Or diving into beautiful, clear blue seas and the invigorating feeling one gets in salt water. But less often do we stop and consciously think about the idea that our health is intrinsically linked to the environment." Along with our health, our economy also benefits from an environment that’s in good shape. By way of example, Gillian points to our thriving agriculture and tourism industries and the many major corporations headquartering in Melbourne – all linked to the reality and image of our clean, green environment and Victoria’s liveability. And of course, healthy land, water and biodiversity provide clean air, drinking water and improved soil health for food production, too. Which, in turn, contribute to the prosperity of Victoria’s economy. Victoria’s natural environment attracts local and international tourists who spend $1.4 billion each year visiting our parks. This generates 14,000 jobs and $1 billion in gross value statewide. Biodiversity is also essential for our agriculture, forestry and fisheries sectors which contribute approximately $8 billion, or 2.8 per cent, to annual Gross State Product (GSP). Yet there are challenges ahead. As already mentioned, Victoria’s population is not only increasing, but ageing. According to Gillian, associated health issues, coupled with environmental conditions, will result in further instability for this particular demographic. Climate change, for example, will compound existing environmental threats. As Gillian notes, higher temperatures and longer periods of reduced soil moisture are "likely to increase the risk of more frequent and severe fires and dust storms." Or take air pollution. While Victoria’s air quality is considered good – relative to international standards – Gillian notes that pollen, dust, smoke and thunderstorm asthma warnings are becoming more normal in weather forecasting, and they’re issues that are on her radar as commissioner. "Links between air quality, population exposure and health are an increasing focus of research and policy development, with the greatest adverse health effects from air pollution experienced in densely-populated areas exposed to emissions from motor vehicles, industrial facilities, domestic activities (such as wood heaters), bushfires and fuel reduction burns." 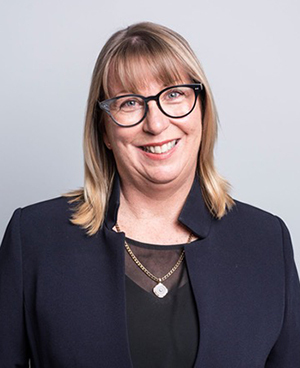 Difficult issues to comprehend indeed, but Gillian’s career experience has set her in good stead for the challenges of her current position, especially her 17-year stint with BHP and BlueScope Steel as both a scientist and an executive. In three decades, she has intersected industries with a focus on the environment and community, including in the manufacturing, industrial services, waste management and water industries. These days, she certainly has her hands full finalising a number of projects. A key deliverable as commissioner is publishing the five-yearly ‘Victorian State of the Environment Report’. "Since 2014, my team has adopted a pragmatic approach and reformed the way we undertake our work with some success," says Gillian, "and the commissioner has now been allocated seven new reporting functions for the first time since the role was established in 2003." A primary responsibility is to use the evidence produced through these reports to advocate for and recommend ways to continue to improve and protect the environment. "My team and I are focused on creating public value and delivering better outcomes for Victoria," Gillian adds. "We believe that all Victorians should quite rightly expect that we’re accountable, set high standards for our scientific endeavour, act with integrity and are focused on solutions and delivering better outcomes for Victoria’s environment every day. Being practical, collaborative and not assuming I have all (or even any sometimes!) of the answers to our environmental challenges, remaining relentlessly focused on working with others to make a difference for Victoria’s environment and community drive me in my work every day." This 'Interim Report' allows Gillian to reflect on the key gains since she was appointed. In February next year, her team will release the full report after it’s tabled in Parliament. The adoption of the Climate Change Act 2017. Passed in February 2017, this Act establishes an emissions reduction target of net zero by 2050. A Victorian planning amendment to improve storm water management to protect our rivers and reduce the burden on our drinking water supplies. "There are many sites of great traditional owner significance in Victoria. In 2017, Parliament recognised the Yarra River as a living entity – a major milestone. And in September, the Victorian Government launched the state's first plan to give traditional owners joint management rights to parks and reserves in and around the Gippsland area and restore justice to traditional owners. This means the Gunaikurnai Traditional Owner Land Management Board (GKTOLMB) and Gunaikurnai Land and Waters Aboriginal Corporation (GLAWAC) will be working with the Department of Environment, Land, Water and Planning (DELWP) to care for ten parks and reserves including Buchan Caves Reserve, Gippsland Lakes Coastal Park, Mitchell River National Park, Tarra-Bulga National Park and the Knob Reserve in Stratford." "It's so important that we speak a common language across borders as the entire international community grapples with the challenges, opportunities and ultimately trade-offs that need to be made to deal with the impact of climate change and the pursuit of sustainable development. International frameworks like the United Nations Sustainable Development Goals and the United Nations System of Environmental Economic Accounting provide that common framing and give us the ability to interpret, compare and develop." Read more from the Interim Report on the website of the Commissioner for Environmental Sustainability Victoria.